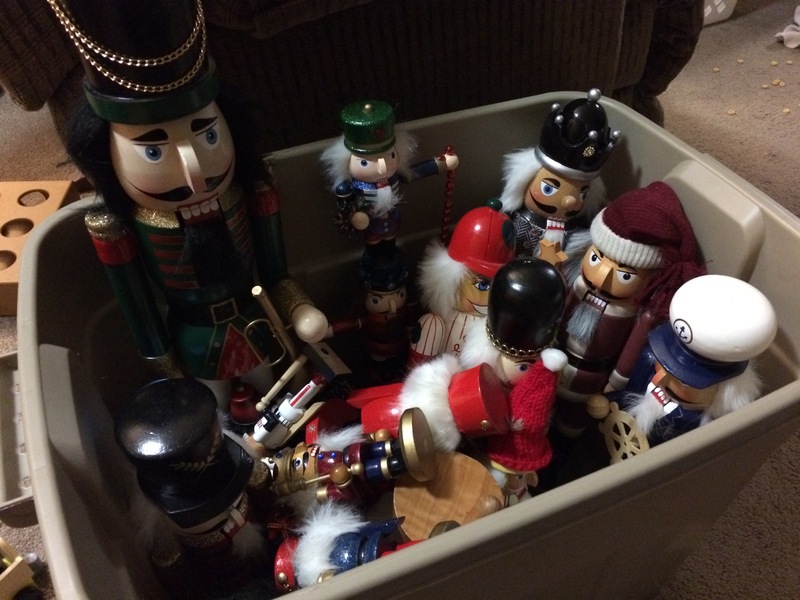 Several of the older more claustrophobic nutcrackers faint at the news. As the leader of you troops, and the tallest, I’ll be residing in the green bin with the wrapping paper. Have courage brave soldiers! Until we meet again in December!